I wouldn't let a 22-year old analyst get away with publishing a chart like this. What stupidity. You wont believe how popular BO is becoming with clients, because it looks pretty!!! 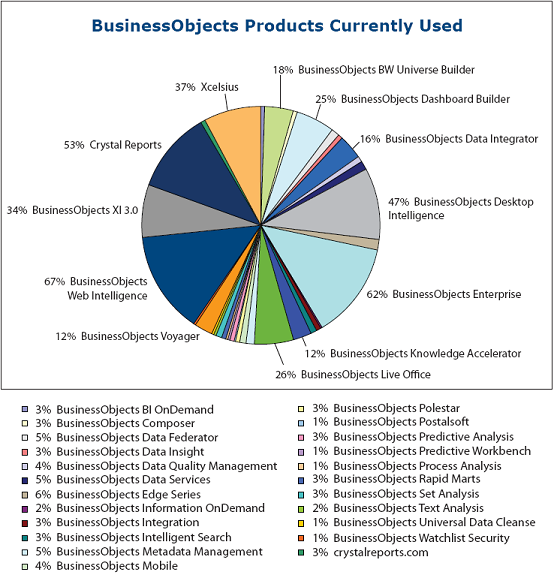 Although to their credit (and that of the consulting firms) BO is usually recommended as an add-on to a real BI tool. BTW I did have a few first year analysts present a report like this to me. It resulted in me giving them an hour long talk on "expectations".